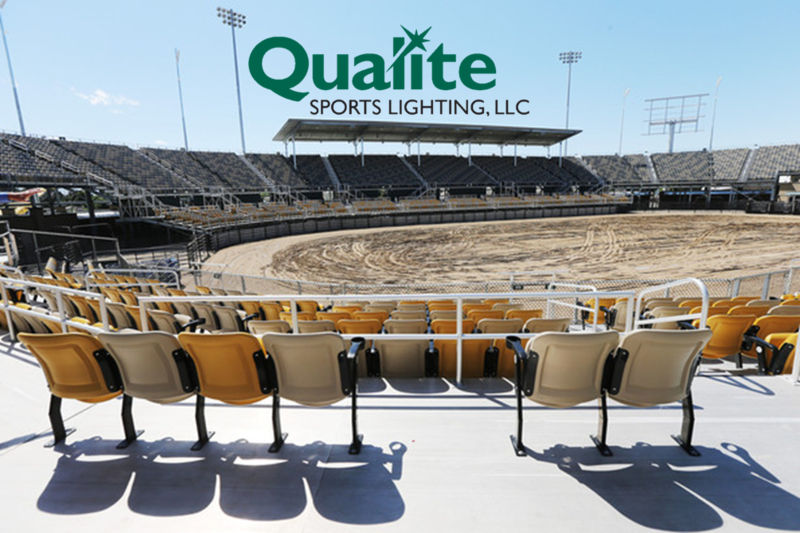 The new home of Days of ’47 Rodeo builds 10,000-seat stadium complete with the latest LED sports lighting technology in the industry from Qualite Sports Lighting. The Utah State Fairpark, located in Salt Lake City, Utah, is the new home to Days of ’47 Rodeo where it will be permanently located. The $17 million, 10,000-seat, arena, built in eight months, chose Qualite Sports Lighting as their preferred lighting partner and expert. This arena is a destination for many. It was designed to hold other events such as concerts, motorsports events, demolition derbies, equestrian events, and other rodeos. The Days of ’47 Komatsu Equipment Cowboy Games kicked off on July 19, 2017, where cowboys were competing for the $1 million gold medal. For more information about the rodeo, visit Daysof47.com or for more information about Qualite Sports Lighting please visit Qualite.com. Qualite has been the Sports Lighting Partner for high schools, colleges, parks and recreation departments, and minor and major league professional sports franchises for over 30 years. Qualite’s, award-winning, Q-LED GameChanger™ is the first high performance sports lighting system designed for all sports venues -- from youth to professional sports stadiums -- with a focus on great connectivity and functionality at affordable pricing.